The talent at Knotions has created another wonderful resource for us sock addicts in the form of SockStar Vol2. If you are not yet aware of SockStar, the first E-Book was released two years ago. Volume 1 SockStar introduced us to the ins and outs of sock knitting and now SockStar Vol2 takes us to the next level- heels. Volume 2 contains 35 pages of everything you ever wanted to know about knitting heels for your socks. 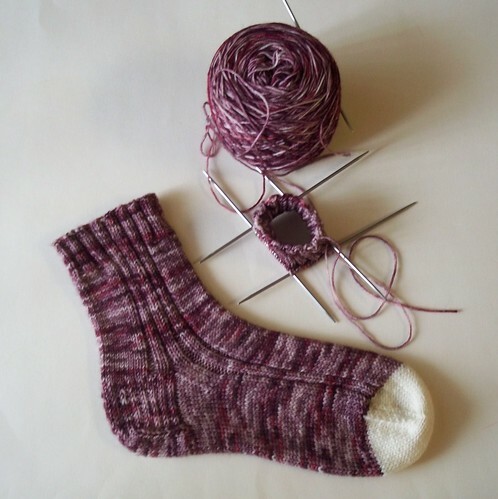 You can use it as a resource to modify your favorite sock pattern's heel to one that fits your own heel. 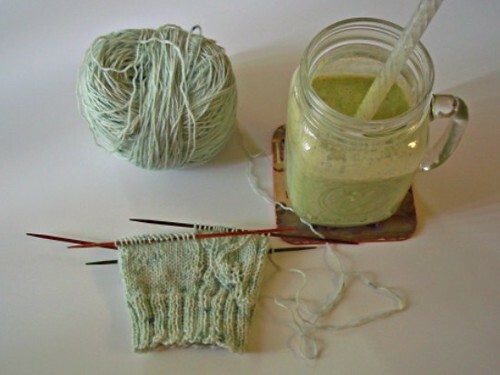 How to mask holes- I find that is one of the biggest problem areas for sock knitters. Tips- Who doesn't like tips? Anything that helps me improve my knitting is golden. Ratings- Being able to know which technique is beginner or advanced, helps users start at a level they are most comfortable with. Use this invaluable resource to expand your knitting techniques, be your own sock designer or create your own sock adventure. Whether you knit your socks cuff down or toe-up, your options with SockStar Volume 2 are endless. Sockstar Volume 2 will be released Saturday November 10th for the very reasonable price of $5.95, but if you pre-order this week you can save a $1 making it $4.95. 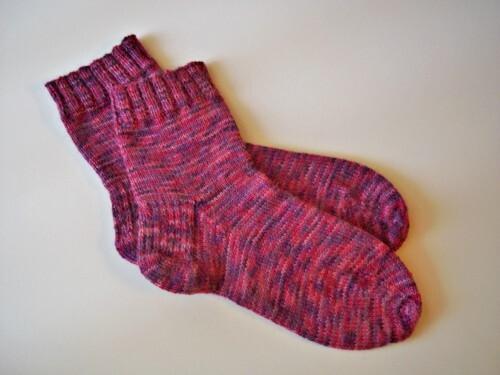 What is not to love about sock knitting? 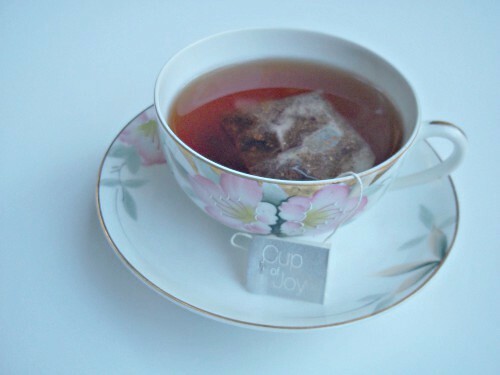 Now, let's take a gander around blogland, shall we? I have a thing about WIP pictures. They often inspire me to pick up my own needles. Behind The Ivy never disappoints and all the WIP pictures could pull me out of any lack of knitting mojo. It may be obvious from the review above, but I love tutorials. Anything that ups my knitting skills and my technique understanding is aces for me. 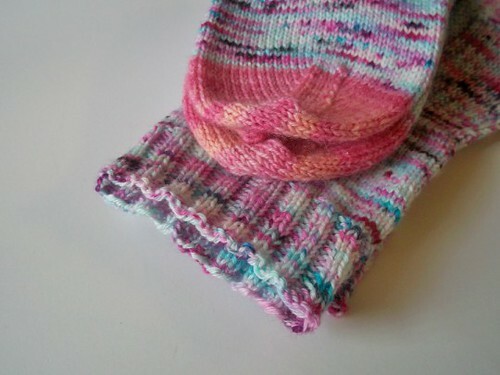 Pink Brutus Knits has posted an excellent tutorial for the Latvian Braid. Julie's Mama Vertebrae has stolen my heart. Despite the fact that the shape of this cardigan would not flatter my figure, I am almost tempted to cast it on after seeing Julie's. 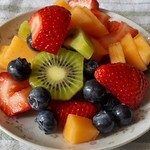 Amongst my great loves (knitting and tea), there is another love that I don't talk about very often...that is food. I adore food and cooking, so when I saw Mason Dixon Knitting posted the recipe for an Italian Sheet Pan Supper, I was so there. Winter is my favorite month, but Autumn is a very close second. That is the reason I really enjoyed taking a walk with Little Cotton Rabbits in this post. The Beeswax pullover has been making it's rounds on Ravelry, Instagram and blog. Knitosophy's Beeswax is stunning and bonus she includes a lovely video on how to knit cables without a cable needle. After recently finishing a colorwork project for a sample knit, my eyes have not stopped looking for other colorwork projects to wet my whistle...they landed on Michelle's Cardamom Coffee Hat. So wonderful! In the month of October is rather fun to celebrate spooky things, right? Autumn Geisha's spooky projects fits the bill spectacularly. I hope you found some loves of your own in October. Have the best day today! Yarn~ Fondant Fibre Superwash Polwarth in the color Harmony. Drink~ Green Monster Smoothie. While I am not one for New Year's resolutions, I do think it is a good time to set some knitting goals. One thing I really wanted to focus on in 2018 was to participate in my own KALs. 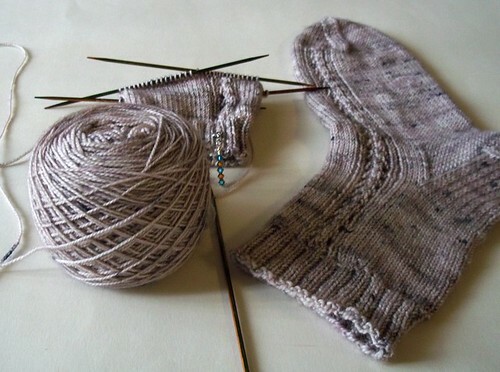 Knitting has started on my Woodland Walk socks for the My Sister's Knitter Mother Nature KAL. If you are looking for a pattern that flies off the needles, this is the one for you. The desire to get to next leaf is strong. Side note: Do you ever have that yarn that has been frogged more times than you can count because the pattern wasn't working? Bonus I found the pattern that this yarn was destined for. Yarn~ NanoStitch Laboratory Scientific Sock in the color Alkaloid. Look! Here are the socks that I finished for my mom for Mother's day. They were originally planned for my sister, but then something told me they belong to my mom. These socks met another goal I have which is to not hoard gifted yarn. Then if you will see here...another pair has been finished. Finishing these has been wonderful in so many ways. I really wanted to knit from deep stash in addition to all the new pretties. This yarn is KnitPicks Imagination sock yarn (now discontinued), a merino/alpaca/nylon blend was purchased more than 9 years ago. I know you call can relate how good that feels. I mentioned last week that I would talk about this new publication from Knotions, ShawlStar.The reason I kept it to this week because it does relate to my 2018 goals. Many of us have a large library of knitting resources that for some collect dust, because it feels easier to buy a pattern and knit it. But something I have been wanting to do this year is use my resources for modifications. By learning more about the construction of something, I can figure out how to alter the pattern to fit my needs. I don't have a desire to design, but I don't think you need to in order to find this Ebook useful. For example, I love shawls I can wrap around me, but only want to use one skein of yarn. I can take my favorite pattern from a designer and work addition increased to make it wider thanks to understanding how shawl shaping works. I could really go on and on about how helpful ShawlStar is. Now if you do have the desire to design- this ebook is gold. Feels like I have chatted your ear off while I sort of checked where I am at in my goals. So thank you if you weathered through it. Please enjoy a song and have the best day today! We meet again, on another beautiful Sunday. :) Always happen to get a chance to chat with you all. Knitting has been happening due to a strong desire to dig deep into the WIP basket and finish up some things. For instance the sock above I started in December of last year, so you know it is going to feel good to finish that pair. While these are not all my WIPS, here are the ones that I am actively working on finishing at the moment. Now this hat you may remember as having quite a bit more progress than is shown here. I ended up frogging that entire thing. I was going to press on despite not being happy with the pattern/yarn combo, but then I read Stephanie's post about frogging when something is not right. I, like Stephanie have no qualms with frogging or ripping back projects if I am not happy. I can tell you that now I am happy. One of the best part of working on WIPs is the finished product right? I love love love the whole washing process. Watching the stitches come together and bloom after a proper wash is yet another thing that brings me joy in this knitting world. Therefore when I was contacted by Stitchcraft Marketing asking if I would like to try some of their wonderful, Eucalan...you know what I said. I selected the Grapefruit Eucalan to try and oh my am I glad I did. This may sound odd to non-yarny folks but I am sure you will all agree that the smell of freshly laundered knits is other wordly. Now it is not always about the scent but sometimes the not rinsing part, right? Being one that does not shy away from using all the wonderful things to help my knitting along, I have used other no rinse washes. All of them are good, but the one thing I really loved about Eucalan was how little it took to do the job. The job being not only to make my knits smell yummy, but also to clean them. I forget how oils on my hands and other things can cause my knits to get a tad dirty while I am knitting and Eucalan cleaned those oils and such away for me. It is yet another brilliant tool to help us finish off our knits with a bit of love. Thank you so much Julie of StitchCraft Marketing for reaching out and offering up a chance to try out this wonderful product, fair to say I am smitten. How to you wash your recently finished knits? Or do you? Inquiring minds (me) would love to know. Unfortunately I don't have any finished projects to show you right now, that tend to happen when you are knitting on everything at once. I am getting there and fingers crossed will have something to show for all the knitting next week. 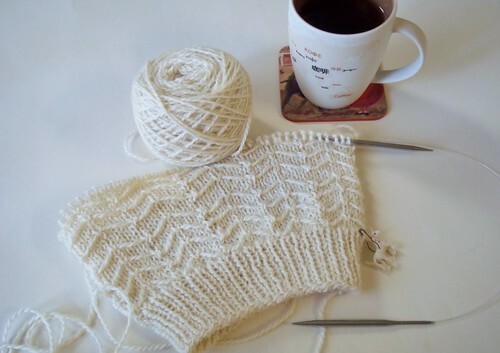 The My Sister's Knitter group on Ravelry is having a clear the needles KAL going on and it has supplied endless amounts of motivation on finishing all the things. If you are in need of some inspiration, come join us. I will leave you now with a song and send some much needed love out to you and our world. "Ruataniwha Dye Studio is the colour collaboration between two New Zealanders, one a yarn enthusiast the other a chemist! We currently hand-dye yarn in central Tokyo, Japan and specialise in providing quality New Zealand and British-sourced yarns for unique knitting and crochet projects." Duncan and I began Ruataniwha Dye Studio in 2015, but it had been ruminating away quietly for some time before then. (Note: the ‘wh’ in ruataniwha is pronounced like an ‘f’ or the ‘ph’ in Steph ‘roo-ah-tuni- far’). Ruataniwha literally means two taniwha’s, where a taniwha is a prevalent creature in New Zealand Maori lore and they are often thought to protect bodies of water and the people who reside by them from nefarious influences. It’s also the name of the inlet neighbouring my parents’ sheep farm in New Zealand where I grew up. What inspired you to dye yarn and what inspires your colors? Most of our shades are inspired by nature or the feelings of wonder that our environment holds. We both love hiking and being outdoors and are both fascinated with plant-life, geology and birds, in particular. Duncan especially enjoys mapping our outdoor excursions with photographs of the mineral depositions in rocks, tree-clinging lichens, and the various creepy crawlies we encounter. In all these photographs and his collections of rocks, plants, and insects, I saw beautiful shades that I wanted to knit with and so we began transferring some of these colours onto yarn. Other shades are inspired in a much more whimsical way, by my feelings about certain happenings or associations in my personal sphere, while Duncan has a greater hand in designing the brighter colours that frequently adorn our sock yarn owing to his status as Ruataniwha Dye Studio’s Preeminent Hand-Knit Sock Wearer. We tend to favour more semi-solid and tonal shades, varying from pastels and muted tones through to rich, layered colours. We do step out a bit more with our sock yarn range, occasionally playing with a touch of speckling and light variegation because for socks, we like to have a bit more fun! How about a little about you? Both of us are academic scientists and have moved a lot over the last 10 years, from our native New Zealand, to the UK, Germany and now Japan. I’ve been knitting for many years, learning as a child and becoming inspired to knit more earnestly while living in Leeds, UK with its rich textile history. I equate knitting and having my hands full of yarn with feeling ‘at home’ wherever we happen to be. For the longest time, Tokyo was too big and too busy to really feel like home, but taking yarn, infusing it with colour, and drawing upon our collective scientific training to do so gave me the feeling that I’d finally arrived. I find dyeing yarn to be both joyful and restorative and those are the sentiments I hope our yarn carries along with them to their final destinations. Where do you see yourself and the business in 5 years? Rolling stones that we’ve been, we’re now hoping to gather a bit of moss over the next few years! I’d certainly still love to be transferring the beauty of the natural world onto yarn and to be able to spend more time doing it. One of our core philosophies is that sustainability and traceability in business practices are maintained to protect our environment. 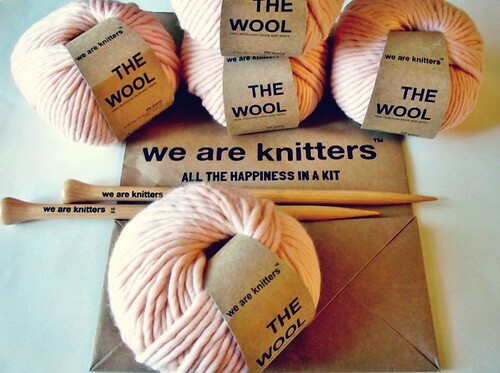 All of our yarns are entirely traceable and from ethical, sustainable sources, meaning for the most part, we know the farms where the sheep were raised, the scourers and the spinners, all those involved in the process, and can attest that no animals or people were exploited or ill-treated to make our products. I’d like to build on this foundation in the future and further reduce our footprint by looking to non-superwash and nylon-free sock alternatives, for example. Lemon meringue pie (with a biscuit base not a pastry crust). Wasn't it a pleasure to meet Ruataniwha Dye Studio's. Each month it bring me such joy to "meet" and learn more about the talented artists in the fabulous community we create in. I am currently knitting a pair of socks in Ruataniwha Dye Studio's Merino yarn in the color Coral, you may remember this picture from last week. The pattern I am knitting is Wildflowers & Honeycombs- which I happen to think goes perfectly with this gorgeous Spring color. I was hoping to be further along on these socks, but some weeks don't allow for much knitting. Trust me when I saw it is a pleasure knitting with this stunning yarn. 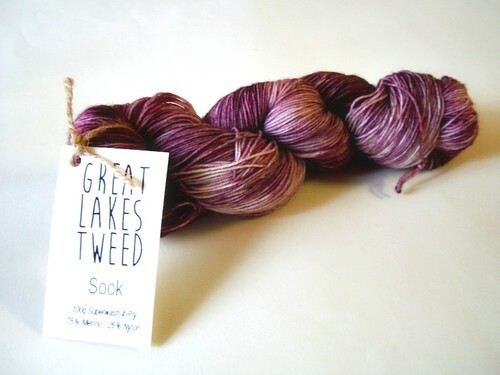 I will be stocking up on all the beautiful yarns from this amazing dyer! Why not stock up and add some of the beauties to your stash, especially as Ruataniwha Dye Studio has offered the most generous of discount codes for all of you- use Andi17 to get 10% off your cart until June 1st 2017. Thank you so much to Steph for visiting me and allowing me to share my love for Ruataniwha! Have the best day today and to all the wonderful mothers out there~ Happy Mother's Day! Happy Sunday! Can I just tell you that these monthly indie dyer features have been one of the best ideas I have had in a long time? It has been so amazing to get to know these artists on a personal and business level. 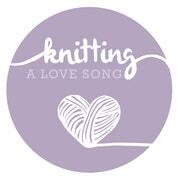 March I get the privilege of introducing you to the talented, Kirsten of Knitting a Love Song. Before I got to know her yarn, I watched her wonderful podcast and fell in love with her infectious personality. Her projects and yarn all speak to my heart. I have no doubt that after meeting Kirsten you will fall in love with her as well. I am 29 years old and for the first 20 years of my life, I lived in New York. When I moved to New Orleans, I barely knew anyone and didn't have a job right away. I taught myself to knit through youtube and soon found Ravelry.com Knitting A Love Song officially opened in February of 2016, but my love for dyeing yarn came long before that. I started dyeing my own yarn in 2012 with kool-aid, food coloring and vinegar. Before I knew it, I was over-dyeing skeins of yarn I had bought years earlier and coming up with new, rich color combinations. 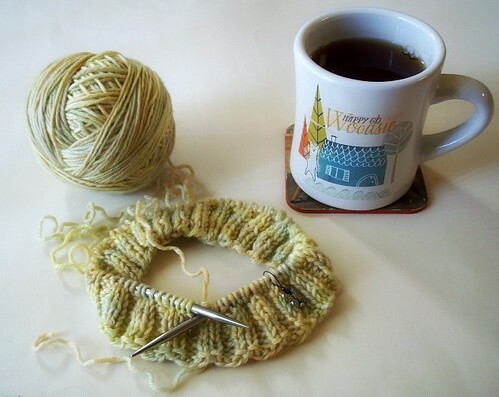 In 2015, I found myself feeling burnt out at my full time job and uninspired with my knitting. I struggled with depression my entire life and it seemed like it was only getting worse. I mentioned to my boyfriend that I wished I could just dye yarn all day for a living and he said, "why not?" The prospect of opening Knitting A Love Song and being able to dye yarn seemed like a dream come true. When I get to play with the dye pots, all my stress and anxiety seems to melt away. I dye colors that I love, in hopes that my customers will love them, too. My inspiration comes from things and places in New York and New Orleans, as well as my mood at the time. I started my podcast in 2016 and while my episodes were sporadic, I feel that it gave me more motivation to knit. I have made the resolution to record at least 26 episodes this year. I have made so many amazing friends through knitting, podcasting and dyeing yarn. I feel so lucky to be part of a community that values generosity, creativity, kindness and love. I hope that with the continued support of my customers and other fellow indie dyers, that within the next five years, I could make Knitting A Love Song my full-time job. There is nothing more relaxing and fun to me than dyeing yarn for my shop. things you are still searching for the perfect project for. I'm hoping that through Stashdown 2017, we can all motivate each other to be more creative and to think of our stash in different ways. I've encouraged anyone who wants to participate to make some goals for the year and let them know that these goals do not have to be set in stone. The purpose isn't to force yourself to do anything but to challenge yourself throughout the year. What a brilliant love Kirsten is right? Not only is she talented but also extremely generous and has offered up a skein to one lucky winner from her Etsy shop. The giveaway is open worldwide and the winner will get to choose the yarn- I know right?! 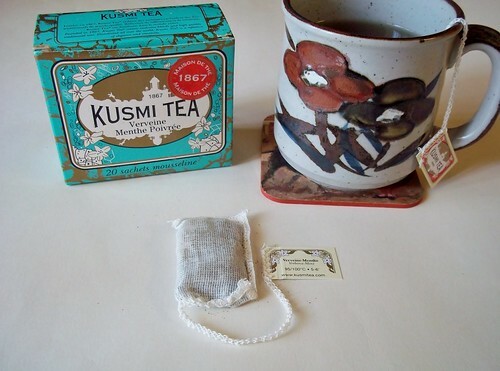 If that weren't enough Kirsten is also offering up a 15% discount code to her shop- MSKLOVE. The giveaway will be open until Saturday March 25th at midnight. The winner will be drawn via random number generator and announced via a blog post on the 26th. To enter please leave a comment (make sure to include your email address when prompted- no need to enter it into the comment itself) and tell me your favorite colorway in the Knitting a Love Song shop or what color would you like to see. 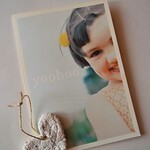 Thank you Kirsten for allowing me to feature you and your beautiful yarn on my blog. I feel like I have gained a new friend in the process-lucky me. 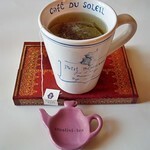 I will leave you with an episode of the Knitting a Love Song podcast and wish you the very best day today! Happy Sunday! Hope you week was kind and gentle to you. 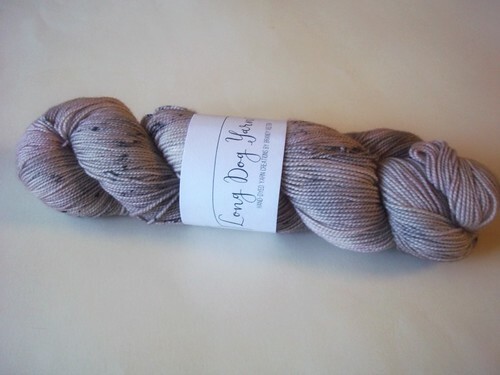 Today I have the pleasure of introducing you to this month's featured indie dyer. As you know this year I am introducing you to some talented indie dyers in the hope that you find some new loves. And here is Brandy dyer extraordinaire and the face behind Long Dog Yarn. Formally, I first started selling my hand-dyed yarns online in May 2016. I was on the verge of defending my Ph.D. thesis, so that seemed as good a time as any to jump into something completely new and different and try to start a whole new business endeavor. I had been knitting for about 3.5 years and had been designing my own knitwear patterns for about a year when I jumped into seriously dyeing yarn. I was initially inspired by the idea of creating my own custom color palettes for my designs and having complete creative control over the entire process, from the yarn through to the finished project. After I started, dyeing yarn became a new and different creative outlet for me that related to my passion for knitting, but gave me a bit more instant gratification in what I produced. I just began playing with different color palettes and dyeing styles - fortunately, people seemed to respond to it and my business has continued to grow in exciting and unexpected ways. My colors are largely inspired by nature, but sometimes different color palettes from billboards or people’s outfits on the street will inspire me and I will immediately jot down new colorways in my phone. I also use Pinterest a lot to explore graphic art and different color palettes to get inspiration when I get in the mood to try dyeing up something new for the shop. Well, I’ve finished my PhD now and am focusing most of my attention on the dyeing and design aspects of my business to try to grow and make an actual living from my creative work. I have a wire-hair dachshund named Rufus who was the inspiration behind my yarn company name and logo. And finally, after crocheting for years and years I finally taught myself to knit using online tutorials because I wanted to make myself a warm pair of socks while my husband and I were going to school in Toronto for our PhDs. I had always felt before that knitters were a bit snobby and thought themselves better than crocheters, so I had stayed away due to pride. But once I knit my first pair of socks, I was completely hooked and I have been knitting nonstop ever since. It’s proved to be an amazing creative outlet, helped relieve a lot of the stress associated with graduate school, and now I feel very fortunate to have the chance to knit and work with yarn on a daily basis as my job! I would really love to continue the growth I’ve been able to experience these past several months and continue to expand my line of yarns into more retail stores throughout North America and maybe even overseas! I’d also love to team up with other knitwear designers to put together a collection of designs featuring my yarns - something in the vain of the Brooklyn Tweed model. I’d even like to explore the idea of opening my own small yarn shop that showcases the beautiful work of independent hand dyers and the creativity and hard work that goes into dyeing beautiful skeins of yarn. Lovely chatting with Brandy, right? I am currently knitting up some of this beautiful yarn and if you can believe it, I went for a more muted color. This is despite the fact that all of those beautiful bright colors pictured above spoke to me. Something about this color (Champagne Toast), captivated me and I see the final socks in my sock drawer. The yarn is incredible. 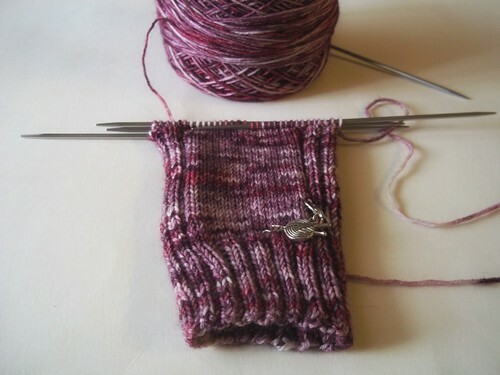 Some of you avid sock knitters may already know this, but you can tell by how a yarn knits up, how it is going to wear. Despite being super soft and lush, I can feel that these socks are going to last. Good thing because I am smitten. I really cannot get enough of this yarn. It is soft with an occasional pop of dark grey and it sings to my sock knitting soul. "I’ve set up the coupon code MSK15 for my Etsy shop and longdogyarn.com to save 15% on any order until March 12, 2017. " Have a the best day today! Giveaway now closed~ winner will be announced midweek! If you remember one of my goals for 2017 was to try and introduce you all to more indie dyers. I am happy to say I have a great line up at the ready. 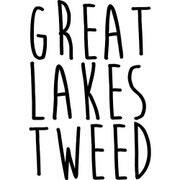 Are you ready to meet our first amazing indie dyer, Rachel of Great Lakes Tweed? Thank you so much to Rachel for allowing me to pester her into a review and allowing me to review her yarn for you all the read about and get to know her a bit. For me purchasing hand-dyed yarn from indie dyers is personal because I think everyone needs to support art in whatever medium it comes in. The art of hand-dying sings to my soul, therefore it is only fitting that I want to know more about the creator. So without further ado, a chat with Rachel. I have been dying yarn since October 2015, but I just recently started my Etsy shop in November, 2016. There is actually a bit of story behind what got me started dying yarn. My fiancé and I live near Greenfield Village, which is a large outdoor living history museum filled with historical buildings. The buildings, including farms, are maintained by in-character works. Part of the farm maintenance includes sheering the sheep, which is then hand spun into yarn that they sell on site. My fiancé took me to the museum on my birthday in 2015, and he also bought me a couple skeins of their yarn. While we were there some of the workers were natural dying yarn with walnuts, berries, and various other dyestuff. I thought it was super interesting and decided to give it a shot myself, so I dyed my yarn with a dozen roses. After that I started dyeing with other materials, and eventually found my true passion acid dying yarn. My colors are inspired by a variety of things, but most inspiration come from Michigan’s great outdoors. The funny thing about dyeing yarn is that it rarely comes out as planned, so while I might draw inspiration from one scene it might end up looking totally different in the end! These days I’m working as an IT Professional by and dyeing by night. I live with my fiancé, dog, and two cats in Metro Detroit, Michigan. In 5 years I would love to be dyeing on a large scale. Currently I’m rocking very small batches – never more than 2 skeins dyed in a single batch. I’d like to maintain smaller batches, but doing 5 or so at a time would be great! So in conjunction with that, I’d also love to have dye studio to support my dyeing hobby. Shorter term, I’m looking to expand into other yarn weights within the next few weeks! in the colorway, Love Shack. It went on the needles immediately for one reason because I wanted to test out the yarn so that I could accurately say how I felt about it for this review and another reason, how could I resist? Off I went. The feel of the yarn is perfect. It is everything soft that a merino blend should be. I don't say this lightly as I have had yarns that look highly saturated feel a bit like twine and rather stiff to knit with-thankfully that was not the case with Great Lakes Tweed sock yarn. The yarn was pleasantly soft with the perfect amount of nylon (25%), so I felt confident that it would wear well. Another test of colors that are richly dyed such as these is that once soaked, how do the colors react. Do they muddle together? Do those brilliant pops of dark pink get lost? As you can see above there was not bleeding on my very white toe and they colors stayed tonal. Nothing lost in translation after a couple of washings. Perfection because I do like me a bright white contrasting toe. It is rather lovely when things work out for the best, right? 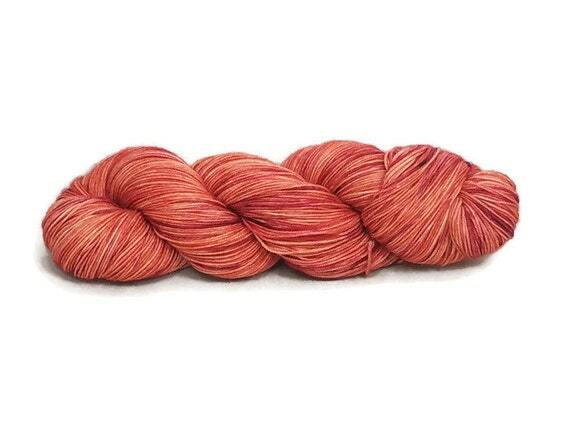 Thanks to Rachel one of you lucky peeps will have the chance to win one of the most beautiful skeins of yarn in the color, Fire On The Mountain (pictured above). It is a sock yarn 75% Superwash Merino 25% nylon 463 yards. 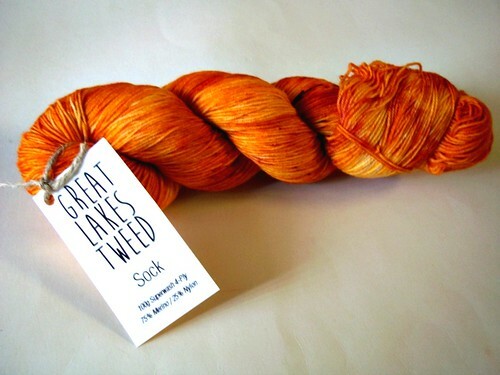 For your chance to win, please visit Great Lakes Tweed's Etsy shop and come back here telling me your favorite colorway or since she is open to custom orders what colorway you would like to see her dye up. The giveaway is open worldwide and will close January 28th and a winner will be drawn via random number generator on January 29th and announced on the blog. Till next Sunday, I wish you the best day today! Talking socks...a review and knitalongs. Today we are talking about socks. 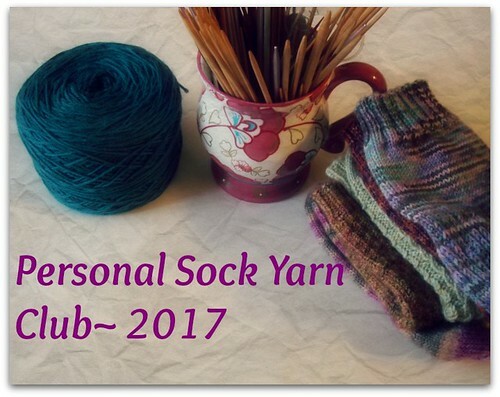 I have a review for you as well as some great KALs that are going on that will allow you to get your sock knitting on. If you are like me and one of your New Year's knitting goals is to knit more socks then Sock Star may be for you. Sock Star is an E-book that was created by Jody Richards of Knotions. 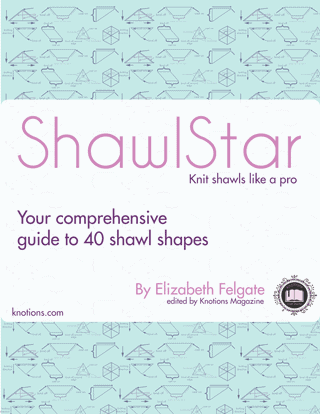 In case you are not familiar with Knotions it is a brilliant resource for knitting and crochet that is chalked full of patterns, tutorials, resources...and the list goes on. 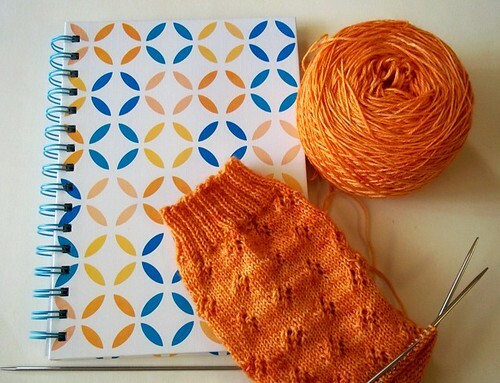 Back to Sock Star, whether you are a seasoned sock knitter or a newbie this E-Book is for you. Everything you need or ever wanted to know about sock knitting is included in Sock Star (here are just a few ). Like I mentioned these are just a few. One of my favorite things about this book is how it goes into informative topic such as how certain yarn content can effect the strength, stretch, stitch definition, super wash and absorption of your sock. Information like that is priceless for all sock knitters. I admit on more than one occasion I have knit socks that didn't fit or stay up due to the wrong yarn choice on my part. As if all the written information wasn't enough, Sock Star also has amazingly detailed photos to assist in the translation. Everything you can want and more is included. Seriously think of something that you would like to know about sock knitting- it is in Sock Star. Thank you Jody I for offering up this smart resource for me to be able to review. Jody is also offering up a discount code for Sock Star using the code msk when checking out here. This will get you $1.00 off the $5.95 price. If you ask me, $5.00 for a E-Book with this amount of information is a steal. This coupon code will be good through Sunday January 15th. If you would like to know about Sock Star you can also visit Knotions. Now how about knit-alongs? One of the best things about Ravelry is the community it has created for us. We can get support, make friends, share pattern ideas and knit along with other's like us who have similar tastes and interests. Here are a few groups that are hosting sock knitting themed knit-alongs. I am positive there are many more. Please feel free to share in the comments if you know of any others. I will leave you with a video from Arne and Carlos. 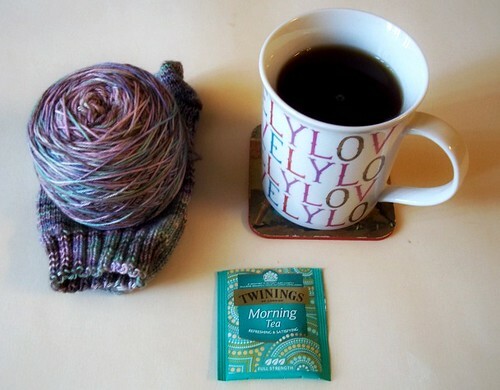 What a lovely morning to relax with delicious tea and a new to me yarn. 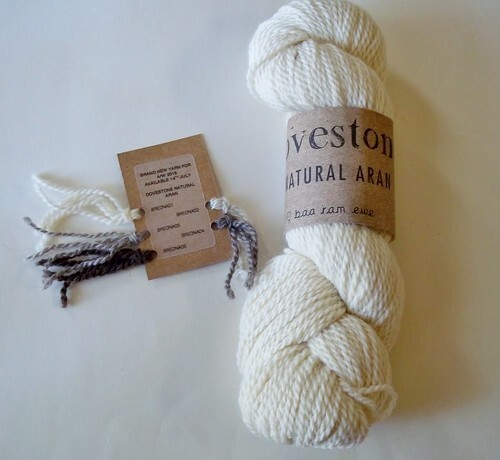 I was contacted by the generous people at baa ram ewe asking if I would like to try their new yarn, Dovestone. While baa ram ewe is not a new company it was a new to me yarn to work with. Having seen all the beautiful projects created with this yarn on Ravelry and blogland, my response was an excited, "Yes please!". "Our masterplan is to make Yorkshire famous for wool production across the world once more, reconnecting it to its woolly heritage. We've put ourselves at the centre of this renaissance commanding worldwide appeal for our luxurious and authentic wools, all spun and made in Yorkshire." After working with their gorgeous yarn, I have to say their master plan has been achieved. I tried my best to take a photo that would capture the beautiful of this yarn. A picture where you could almost see how amazing it is to work with Dovestone aran. The difficult part is trying to capture the feel of this perfectly Yorkshire spun yarn. You may just have to trust me. "We’ve taken the same wonderful blend of sumptuous Bluefaced Leicester with two Yorkshire sheep breeds, the Wensleydale and the Masham, and create a palette of five natural undyed shades in a cosy aran weight yarn." 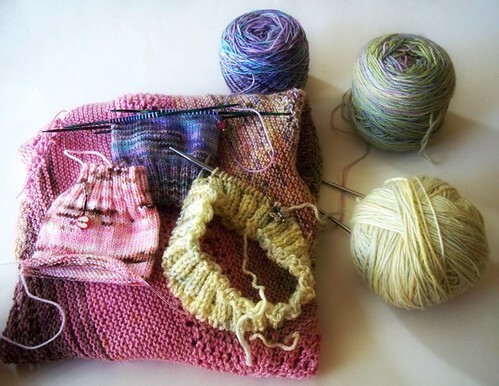 You may be thinking, okay so it looks incredible to knit with but how is it to knit with. My friends it is gorgeous with a capital G. There is a wonderful bounce and elasticity about it. While my first thought was to knit something with cables because I know in the back of my mind that this yarn is going to bloom like no bodies business, but I couldn't get this pattern out of my head when visualized the finished project. Obviously I haven't finished the hat, so I cannot remark on the bloom or how the yarn reacts to a lovely soak. This not finishing had much to do with a very busy birthday month. I promise I will follow up this post with the end results very soon. A very big thank you to baa ram ewe for allowing me to play with this yummy yarn. I love being able to try new yarn blends and share them with all of you. I will leave you with the secret password from the sheep and wish you the best day today! Hello there! Happy Sunday to you all. This week I have a wonderful treat for you, I am announcing the winner of our Sock Series give-away and bonus we have a new one! 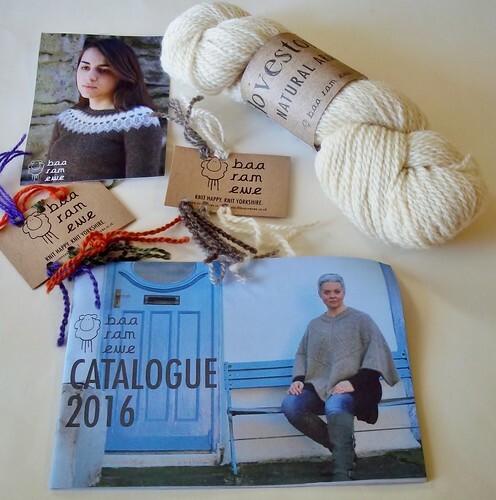 I was contacted by the lovely Morgan from We Are Knitters asking if I would be interested in trying out one of their kits and...offering up a kit for one lucky reader. Hard to turn that down especially after visiting their website and seeing all the gorgeous yarns and projects they have. How about if we get to know a bit about We Are Yarn first? "We Are Knitters was founded in 2011 after co-founders Pepita Marin and Alberto Bravo returned to Spain from their travels in the US. Whilst in New York they noticed several young, fashionable people knitting in trendy cafes and questioned why they had never seen such groups doing the same in their hometown Madrid. Inspired by what they saw, Pepita and Alberto started knitting themselves, and after experiencing first hand the many associated benefits of the craft they set out to recover and rejuvenate what they felt were becoming dying arts in Europe, and alas WAK was born." "We feel as though WAK is working to help create and support a “knitting renaissance”, whereby the image of knitting is reinvented in a way that allows it to adapt and flourish in a world becoming increasingly digital. 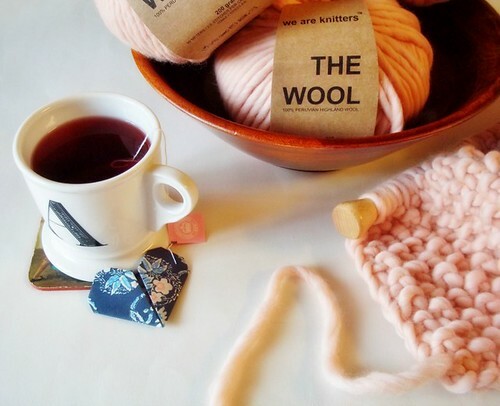 WAK does this by fostering a rapidly growing and worldwide community of knitters, makers, and friends through social media, events, and a product that appeals to a young and modern audience." If ever there was insta-love in yarn and a project this would be one of those times. 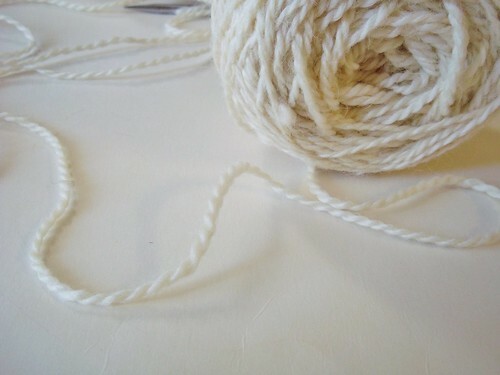 The wool is like knitting with a cloud which will become a bigger cloud that you can cuddle under when finished. Doesn't get more amazing than that, right? Photo courtesy of We Are Knitters. All the kits are put together so thoughtfully, all you need is to have a love of beautiful yarn and enjoyable projects and you are golden! For your chance to win a fabulous Udon kit of your own, all you need to do is sign up for the WAK newsletter HERE to be entered into the drawing. The giveaway runs through July 31st (midnight PST) and is open to USA, Canada and Europe. I will announce the winner on August 3rd. I enjoy sock knitting because I'm never bored. Knit a cuff, then the leg. About the time I'm tired of the leg, I turn the heel and pick up gusset stitches. Then I'm ready for a little social knitting on the foot. Before I know it, I'm decreasing to make a toe. The variety in yarn and patterns seems almost infinite - never boring. And more . . . Thanks for the giveaway. It is very generous. Thank you for all who entered and sharing your love of sock knitting! Jane, I will be in contact with you shortly. Till next Sunday, may you all have the best day today!